Availability may be extremely limited, particularly during peak periods. All holiday (flight + hotel) prices shown are in GBP per person based on 2 adults sharing and include return British Airways flights in Business Class (Club World) from London airports to selected destinations for selected travel periods. Savings vary by destination and travel period and are based on equivalent holidays available to book from 11 – 17 July 208, holidays and savings are detailed below. Dubai – British Airways Holidays offers three nights at the 5* Hyatt Regency Dubai from £1389 per person, travelling September 1 – September 30. Includes Club World return flights from London Heathrow and accommodation. Price includes £450 saving per person. 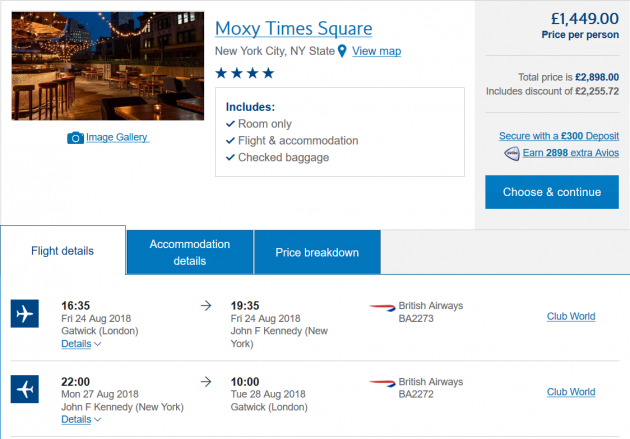 New York – British Airways Holidays offers three nights at the 4* Moxy Times Square from £1449 per person, travelling August 3 – August 28. Includes Club World return flights from London Gatwick and accommodation. Price includes £900 saving per person. Orlando – British Airways Holidays offers seven nights at the 4* DoubleTree by Hilton Orlando SeaWorld from £1999 per person, travelling August 29 – September 22. Includes Club World return flights from London Gatwick and accommodation. Price includes £800 saving per person. Bahamas – British Airways Holidays offers seven nights at the 4* British Colonial Hilton, Nassau from £2299 per person, travelling September 1 – September 30. Includes Club World return flights from London Heathrow and accommodation. Price includes £400 saving per person. Barcelona – British Airways Holidays offers three nights at the 4* Ilunion Bel Art from £269 per person, travelling November 1 – December 9. Includes Club Europe return flights from London Gatwick and accommodation. Thessaloniki – British Airways Holidays offers seven nights at the 5* Anastasia Resort & Spa from £599 per person, travelling October 5 – October 15. Includes Club Europe return flights from London Gatwick and accommodation with breakfast. Amsterdam – British Airways Holidays offers three nights at the 4* XO Hotels Park West from £269 per person, travelling January 1 – January 31. Includes Club Europe return flights from London Heathrow and accommodation. Prices include taxes, fees, carrier charges, and are updated every 24 to 48 hours. 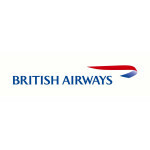 Further Holidays, destinations and travel periods are available on ba.com but may not be available at the promotional price. Holidays must be booked between 00:01 GMT 19 July to 23:59 GMT 24 July 2018. To access book Holidays, use the ‘Flight + Hotel’ or ‘Flight + Car’ search option on ba.com. Hotels or cars added to flights after a flight has been selected or booked will not be eligible. Prices are based on debit card payment; a charge may apply for other payment methods. Price includes checked baggage allowance up to 23 kg. Size restrictions apply (up to 90cm x 75cm x 43cm). The holidays featured are ATOL protected under the British Airways Holidays number ATOL5985. 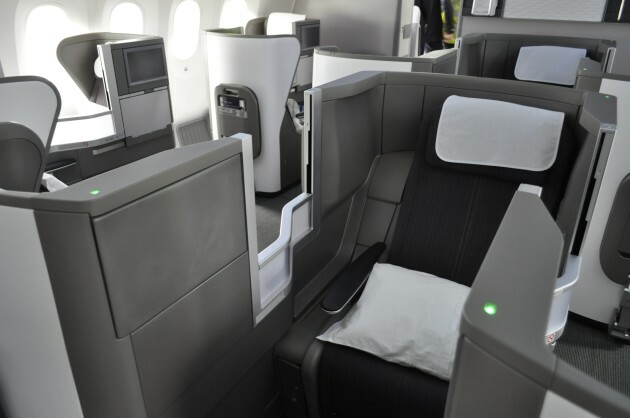 British Airways Holidays standard terms and conditions and conditions of carriage apply. I was wondering if BA were going to do a sale this summer or not because so far they haven’t, which is quite unusual. Hello Tony – it’s been even longer than I’d have expected, but sale fares are now loaded. Hopefully you will find something.